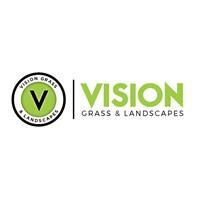 Vision Landscapes - Driveways/Patios/Paths, Landscaper based in Ormesby, Cleveland. Thank you for visiting our Checkatrade Profile. By choosing the team at Vision Landscapes & Design Limited we can completely transform your garden or outdoor living space. From professionally installed artificial grass to a stylish new patio, garden room or driveway, we can design and manage your project from start to finish. Vision Landscapes & Design offer a bespoke garden design and landscaping service. With more than 20 years skilled experience, our family run business covers all aspects of the industry. We work on domestic and commercial properties in the Middlesbrough, Cleveland and North Yorkshire. We source our products from reputable high quality suppliers. We offer a site visit, design and estimate so we can work with you to produce a bespoke solution for your home or business within your budget. As a family run business, your needs are our top priority. We pride ourselves on traditional values including customer care, teamwork, enthusiasm, and a passion for the work that we do. We provide a high-quality service from start to finish. Our positive reputation and first-class workmanship helps us maintain regular customers. We’re always happy to help with your enquiries, so don’t hesitate to contact our team.